Guinea Pigs are playful, social animals which require a large enough space to roam, popcorn and run around in. While most pet shops will display guinea pigs in small, plastic cages with minimal space – this is not a suitable or healthy habitat for a guinea pig. When selecting a cage for your guinea pig, you should choose one with a smooth bottom so your guinea pigs feed don’t get hurt, sore or stuck. We recommend using C&C cages as they can be easily expanded and rearranged to give your pigs optimal space. MidWest cages are also great homes for guinea pigs, just be sure it’s large enough. The most suitable MidWest cages for guinea pigs are the 171GH & 171GPH models which can be found here. 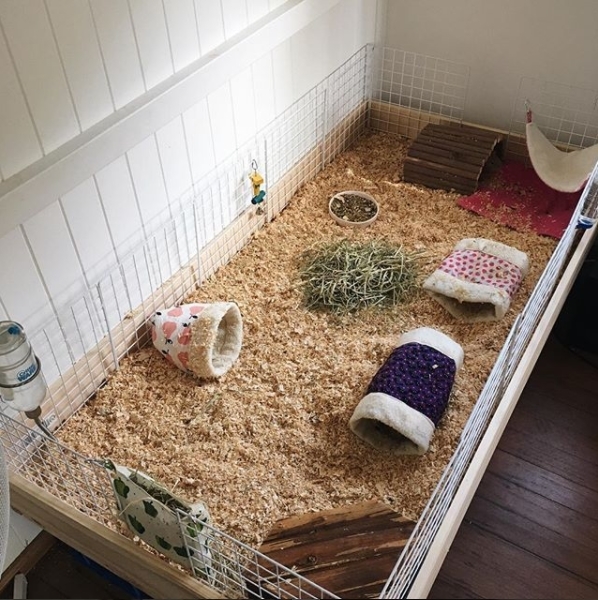 These cages provide a suitable amount of room for at least two guinea pigs, and feature flooring that is safe. 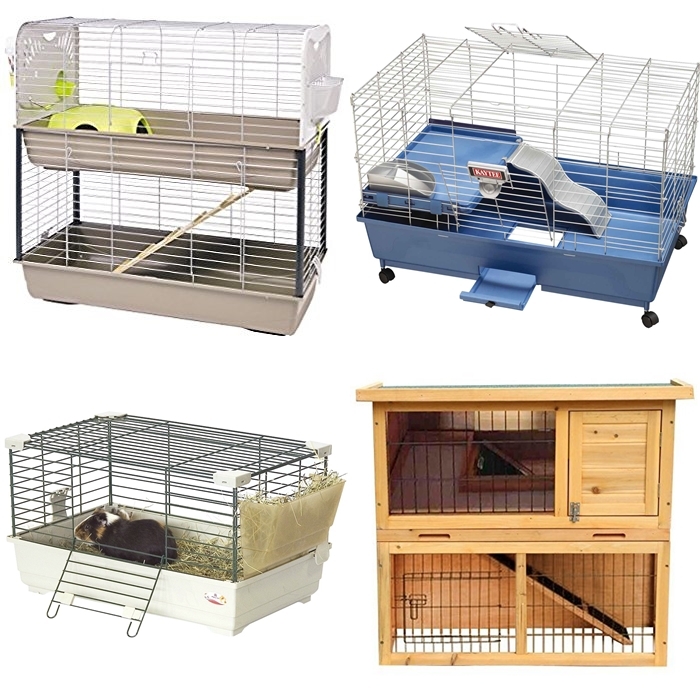 The images below feature four popular cages which are never suitable for guinea pigs. As above, your guinea pig needs space to run, play, socialise and relax. These cages are tiny, and it would be the same as keeping a dog in a pen all its life. Guinea pigs are exotic animals who require proper space and care to lead healthy lives, and are definitely not simple pets. 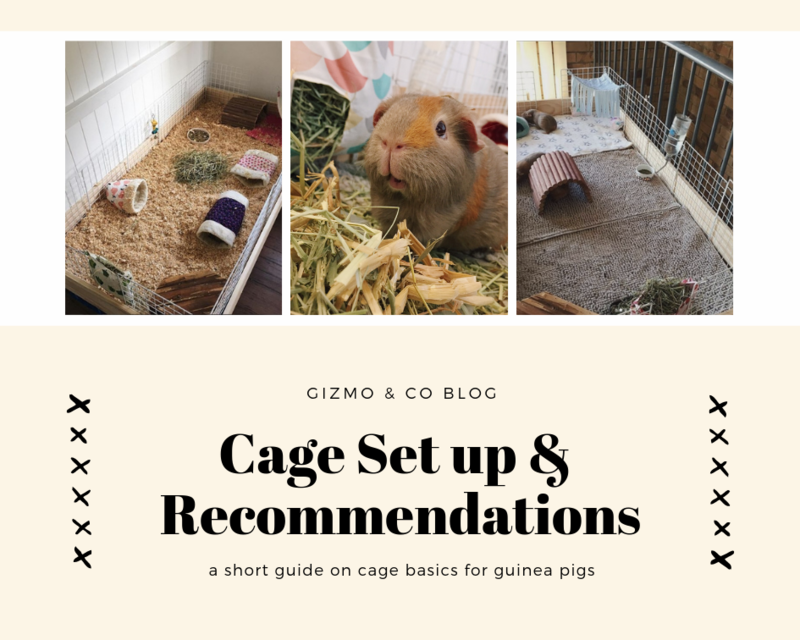 If you find yourself questioning weather or not you have the proper space for guinea pigs, there are many other pets that don’t require as much space and may suit you better like mice, hamsters and rats. These cages are too small and the ramps are too narrow and steep for a guinea pig to use. Why aren’t these cages suitable? Other than being too small, the top two cages are most suitable for mice. The ramp is far too narrow for guinea pigs to climb up, and could even hurt their feet. The cage with the guinea pig in it is more like a carry pen, too small to do anything but sit. The wooden pen is very popular for outside use but is not suitable for guinea pigs. Again the ramp is too narrow and steep, it could also hurt their feet unless covered with fleece or soft fabric. The cage isn’t snake, predator or weather proof and can be difficult to clean. It’s highly advised that you do not keep your guinea pigs outdoors as they do not fend for themselves well in the outdoors. Guinea pigs who live outdoors are at higher risks of illnesses and other health problems. Please keep your guinea pigs inside, in an area where they can see/hear you and that is safe from other animals (cats, dogs, etc). The location of your cage is important to ensure the health and happiness of your guinea pig. It’s best to house your guinea pigs indoors in a well-lit, draft-free room that gets frequent foot traffic (for example a hallway or living room). 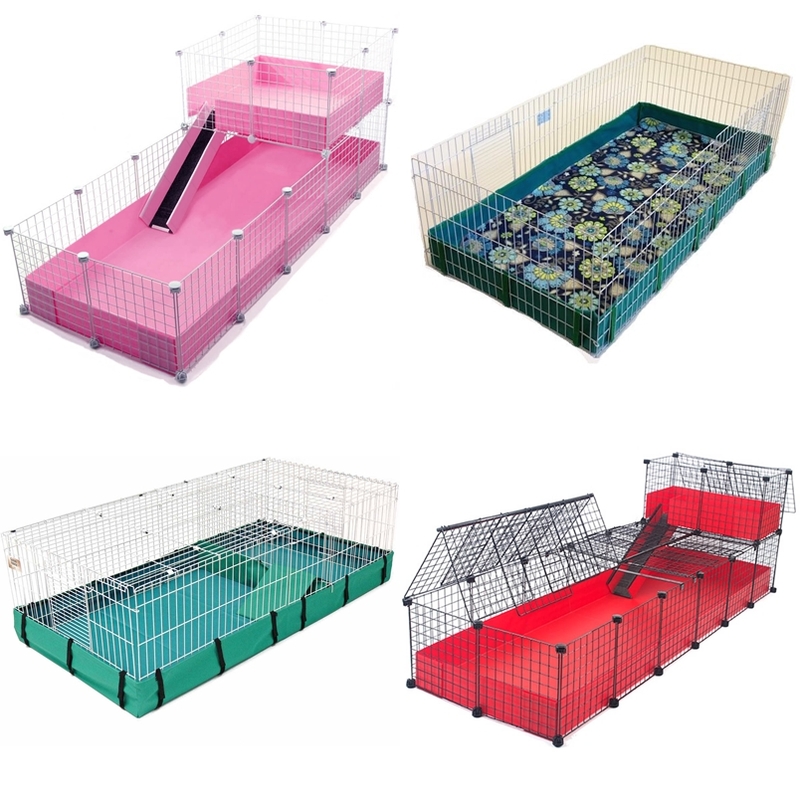 Choose an area where they will be apart of the family as this will ensure the health and comfort of your guinea pig. When guinea pigs are left outdoors, or in rooms that are excluded from the household they may only be noticed when needed or heard. Though they can be quite timid and skiddish animals, Guinea pigs can become loving, tame pets, and enjoy being pet and handled once they become familiar with the space they are in. Wherever you choose to house your guinea pigs, be sure they are in an area that is predator safe, has a stable temperature and is pest free. Temperature stability is a big part in making sure your guinea pig is comfortable. Your guinea pig should be housed somewhere out of direct sunlight, in a room where the temperature can be easily monitored and adjusted. For example, having electric fans, air con, and frozen ice toys for Summer and pet-safe heating pads, hot water bottles and extra thick fleece toys for Winter – just little things that you can adjust and monitor to keep your pets happy & healthy. When choosing a bedding it’s important to ensure that it is absorbent, free from dust and oils and cannot be inhaled or eaten. Choosing a safe bedding is crucial for the overall happiness and well being of your guinea pig. Wood shavings are a popular bedding among guinea pig owners, however you must ensure any wood product is free from dust, aromatic oils and has been kiln dried. It’s important to never use sawdust or cedar bedding as they can cause severe respiratory illnesses and can be otherwise harmful to your pet. Fleece bedding is another popular option for guinea pig bedding as it’s safe, affordable and reusable. It’s recommended that you wash the fleece bedding 2 – 4 times before use in order for the fleece to become fully absorbent and effective. Fleece is the most eco-friendly as the bedding is reusable, though it can be time consuming to keep clean. Paper bedding is great to use on it’s own or as litter under wood shavings in areas that get easily soiled (like corners of cages and under water bottles). Paper based bedding is NOT shredded newspaper, as newspaper can contain ink which can be harmful to guinea pigs. This is our set up for our three girls at the moment. We made a base built from wood, then have placed C&C around the sides of the cage. This cage size is equal to a 2.5 x 5 C&C cage and is large enough to home three guinea pigs.